You Deserve the Best in Marketing Services. There’s a specific set of skills that go into marketing for construction industries. The products and services offered are unique and require a level of sophistication by businesses to resonate with their future customers. Regardless of the type of construction you’re in, one thing remains the same: a digital marketing strategy will help bring you success. Through the use of a strategic digital marketing campaign, your business will rise above their competition, establish credibility, and build relationships with your clients—both old and new. The main thing to keep in mind is that you need to make sure you have a solid understanding of your current market. Since construction is such a saturated industry, keeping an eye on your competitors is a good way to see what works and what doesn’t, without falling behind. You may have a diverse target audience, but the following marketing best practices will help you reach them all. 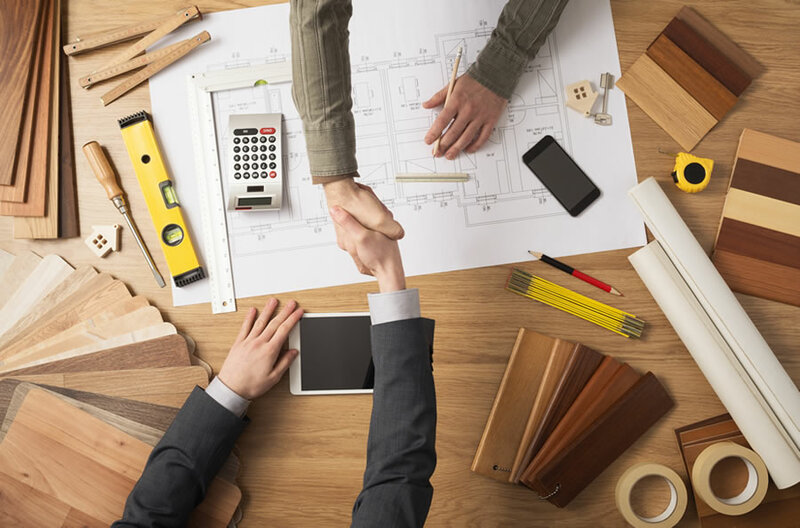 When people begin to look for a reputable construction company, the first place they go – even after a personal recommendation – is your company’s website. This is why it’s essential to create a responsive and easy to navigate site. It’s your first impression on hundreds, maybe thousands of people and if you want to appeal to them, it needs to be excellent. Don’t settle for a free downloadable theme that thousands of other companies are already using. Invest in developing a unique and professional website with the help of our experienced web design professionals. Once you have a strong website in place, the next step is making it easy to be found. This is done through search engine optimization. When your company ranks on the first page, maybe even in the first spot, you’re exponentially more likely to get website traffic. It’s rare for people to click “next page” on a search engine, so make sure you get the help you need to gain a coveted first page location. Pay-per-click advertising is widely used by almost all businesses with an online presence. The appeal is the fact that you only have to pay every time someone actually clicks on your advertisement. As an added benefit, there is a stronger ability to directly target certain audiences, and thus, increase the likelihood of clicks and conversions. If you need help with your PPC campaign, contact a marketing professional. Social media is the perfect place to show your audience what you can do. You can post pictures, informative or explanatory articles, and give your readers true value without coming off too strong. Having a social media profile is essential to the success of your business, so make sure you’re at least active on Facebook, LinkedIn, Twitter, and Instagram. No digital marketing strategy is complete without a strong foundation of content. Make sure your readers can see your expertise through captivating and educational copywriting. This not only educates your readers on your level of expertise, but it helps to convert visitors into customers. If you’re not a strong writer, consider outsourcing this task. Regardless of how you want to approach your business, you need a digital marketing strategy in place. Contact a marketing professional today to see how you can start launching creative campaigns that get you more business.